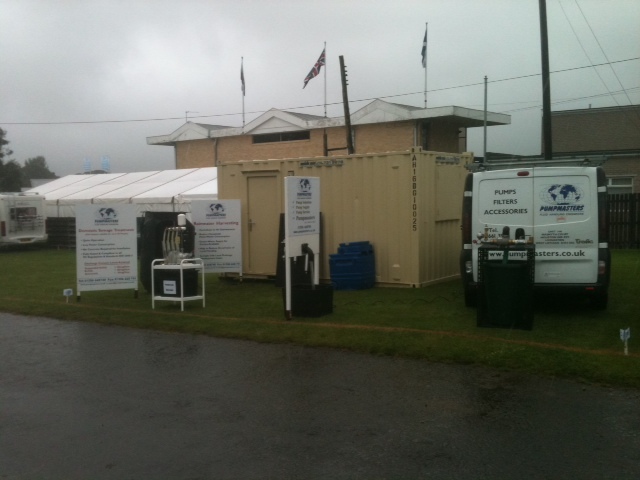 This year Pumpmasters returned to Avenue P at the Royal Highland Show for the four day agricultural show. This year in addtion to our normal range of pumping equipment we had a fully operational Eco friendly ECO pump on display. These pumps are powered by the power of flowing water, delivering water to remote locations, where it may be needed. Many visitors as well as our distributors found this to be of interest, in fact more than one visitor to the stand expressed "that pump is the most interested thing at the show this year".
. As promised most of the products on display have brochures available on our website, please follow this link: if you wish to download these.